There seem to be quite a few Photographer based Documentaries in the works at the moment! Just seen (via Photo Archive News) that there’s one about Don McCullin showing in London at the moment! May go and see. 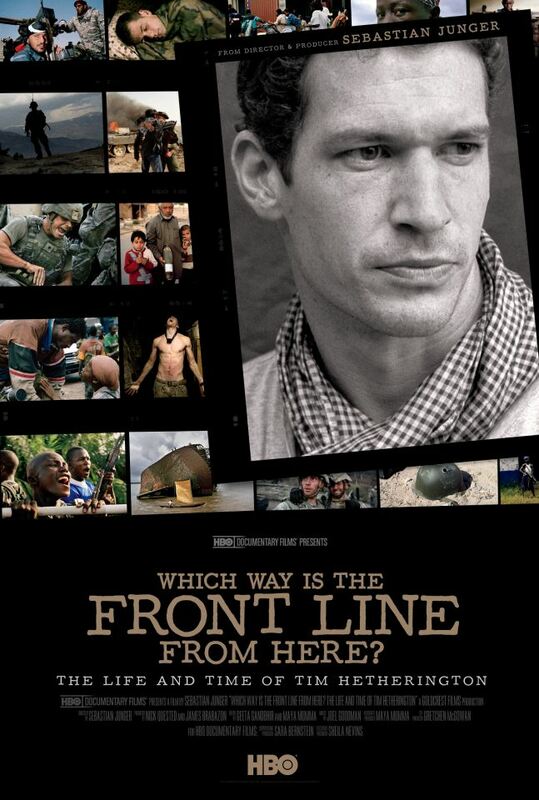 Although there are a few conflict photography films I have on DVD but yet to watch e.g. Bang Bang Club. 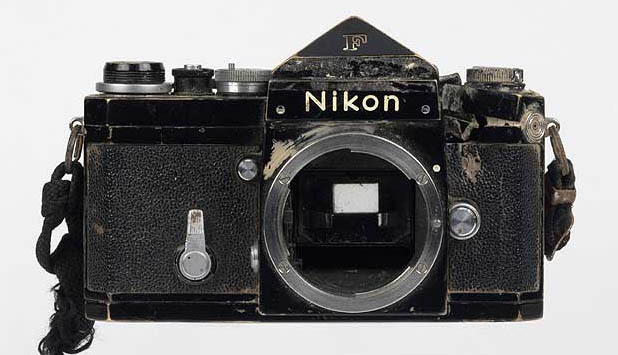 – Been to see his exhibition at the Imperial war museum which was very impressive – including his famous Nikon which stopped a bullet. 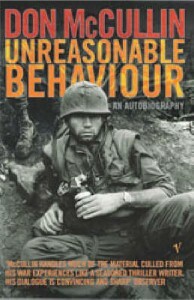 – Just got his autobiography this Christmas (but not read yet) : “Unreasonable Behaviour: An Autobiography”. Anyway – I have lot of respect for the guy – not just because of photography skill – but how he talks with compassion and emotion about how, what and why he photographed and also the effect it had on him. It’s currently showing at the Curzon in Soho. It looks like it’s showing up to an including Jan 17th. ICA is also showing – but ending same day. Nice little video on/from Magnum photographer Christopher Anderson. Talks briefly about how he became a photographer, “fell” into war/conflict photography and then out again. Bit of an arty piece – uses words such as “engaged”, “conciousness” etc which all too often can be used in far too much of a high-brow manner, but in a very down to earth way. I appreciate that. Although I’m a pacifist I’ve always had a fascination with war films – mostly 2nd world war films. Although I’m not a Pro photographer, and certainly not a news photographer – in the last couple of years I’ve had an interest in conflict photography. To the point that I’ve sought out and read some conflict photography book. What’s prompted this blog post is that I’ve seen that they’ve made a film of one of the books I’ve read and liked : Bang Bang Club. Hence the title of this post. Thought I’d do a mini review of the books I’ve read. Going in order of which I read them…..
About the rise (and ultimately fall) of an independant news/phototography agency : Frontline. 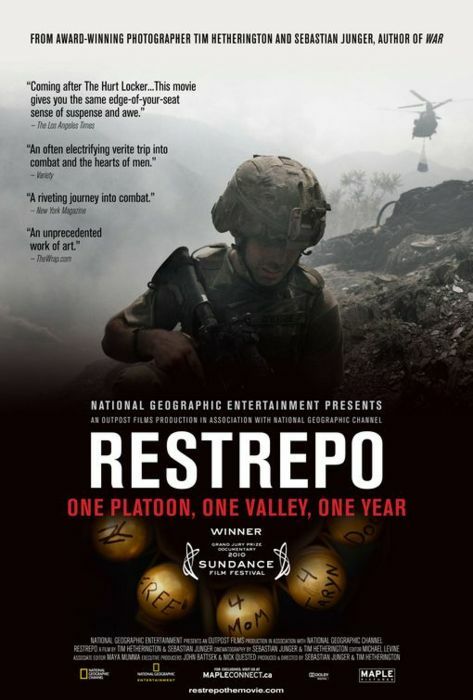 It’s a fascinating and capacitative read covering several photographers/camera men in several different conflicts but mostly conflicts in recent times – so largely Bosnia and Iraq (1st time around). 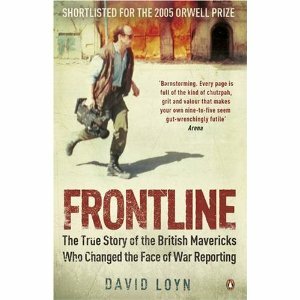 It describes how some of the guys would just go off to cover such wars knowing next to nothing about the war or places they were heading to – just camera in hand, but would quickly get to grips with the situations. [Spoiler possiblity – but not overly so] It also shows why such independent agencies are now doomed with the control that the modern /western war machines put on journalism – with embedding (approved photographers going in with a unit) and pools (photographer/cameramen who are embedded have to share content with a group of other media agencies) being the only way to get to the Frontline. One fascinating and funny tale in the book was how one of the frontline guys got around this using an old uniform and his previous service experience – by all accounts it caused quite a stir! Very good book and worth a read. Not only covering “getting the picture” it also covers the dilemma that it seems every war photographer/cameraman/correspondent seems to go through after they’ve covered a few conflicts, and is often raised when discussing images from wars – do I stop and drop everything to help, possibly save, that person or do I keep filming in order to tell the story to the world outside – which may in a way save and help more lives. Seems that some can make the decision and live with the confidence that they made the right decision, but others do not. 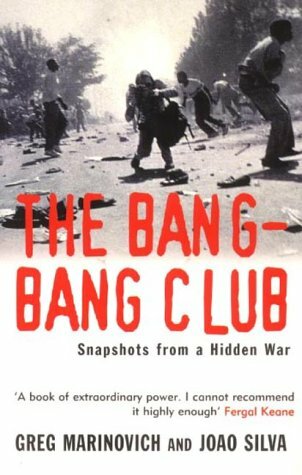 The Bang Bang club is about some conflict photographers mostly in/from South Africa during the troubles of apartheid. They all start out as individuals and separate but through their mutual coverage of the troubles become good friends. Couple of famous names will be Jao Silva and Kevin Carter (yes – as in the Manic Street Preachers song – I didn’t know the song was about him until I read this book). As with Frontline – it covers various aspects of both work and personal life of the photographers – seeing how they cope (or not) with pressures both technically in the job but also personally. Although mostly based around the South Africa troubles it does also touch on areas elsewhere in Africa – such as Sudan where Kevin Carter took the now very famous and Pulitzer Prize winning photograph of the little starving child collapsed on the ground with a vulture looming in the background. 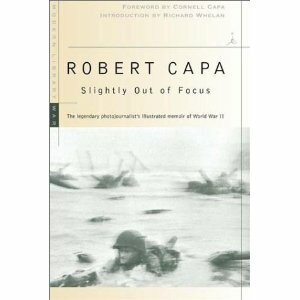 Semi auto-biographical account of Robert Capa’s time covering World War II. I say “Semi auto-biographical” as in the foreword it mentions that Capa wrote this book not so much as it exactly happened, but more so as a tale – so not every aspect is true to life. An interesting read – and comparing to the other two you can see how things have changed with regards to getting access to a war as a photographer. Again – this book shows the kind of character that will up sticks on just an advance from a paper and will head into a war. In a way it paints a more romantic picture of the fringes of war (but I guess you can imagine that anyway – swapping Paris for Kabul or Sarajevo) but then harsher of the actual war itself – as Capa was one of the few photographers to go in with the soldiers on the D-day landings – as can be seen from the cover photo. Without giving too much away – there are infact very few pictures of the D-Day landing itself – only 1 roll of film from the half or so dozen photographers made it to the papers – the book explains why – a very unfortunate story. Only seen the one that is really fact based or true to life, although I have War Photographer on DVD – I’ve not watched it yet. This film annoyed me, well no that’s not true – I thought it was a very decent film – Robert King annoyed me. He just came across initially as egotistical and over confident, then annoyingly naive, and then towards the end over self-reflective. But don’t stop that letting you see the film – ha. 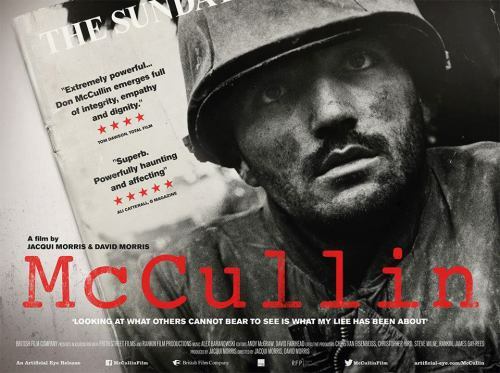 In all honesty – it’s worth a look – it’s a decent and interesting film, it’s just a bit of a shame it’s about 1 person, rather than about the genre or about a collection of photographers. I guess the guys in the books were over confident too when they would run off to war with the newspaper advance – but in the film medium – we get to see and hear this more directly. Maybe that’s what all confilict photographers are like – it must take something to go off to war of your own accord like that – especially the 1st one. But the advantage of that (this confidence and bravado being more obvious) is that the right of passage covered in all the books/films is a lot more in your face and “real” so you get the feeling that – crikey – this stuff is really dangerous! 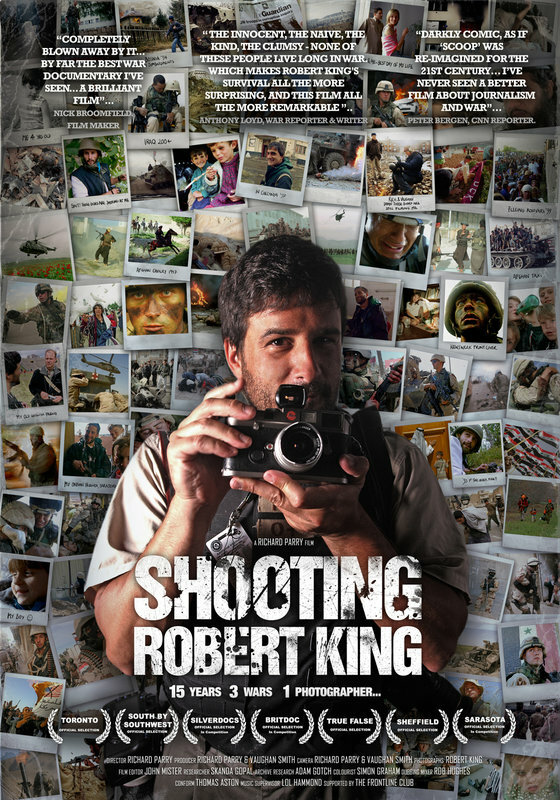 Will see how “War photographer” compares and the real conflict photographer(s) in it, oh and the Bang Bang club film. One of the offshoots of the Frontline agency is that they have set up a charity in honour of their fallen comrades and Media club in London, close to Paddington. I’ve occasionally seen mention of exhibitions and opening nights/ launches there – but I’ve never been. Not sure if you need to be an accredited media person or not. May be interesting to try it out though.